The new Con-Lib coalition government supports the building of up to ten new nuclear power stations in the UK, but has pledged that there will be no public subsidies for new nuclear build. 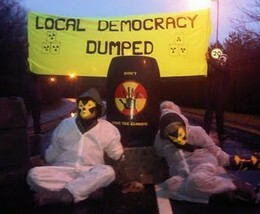 The new Energy Secretary, Lib Dem Chris Huhne, has been strongly opposed to new nuclear build in the past, but now he is in government he and his party seem to have changed their tune and have agreed not to vote against new nuclear. As for the 'no subsidies' pledge, no nuclear power station has ever been built anywhere in the world without public subsidies. It is clear that the taxpayer would be left with a hefty bill if nuclear new build goes ahead through a host of hidden subsidies [1,2]: these include the proposed hike in ‘carbon pricing’ that would favour new nuclear, major cash from the public purse to pay for decommissioning the power stations and dealing with the waste, and underwriting the massive insurance liabilities of an accident or terrorist attack. Decommissioning the existing nuclear facilities alone is estimated to cost the UK taxpayer well in excess of £70bn. 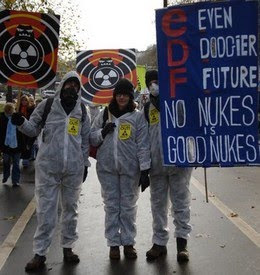 Multinational nuclear corporations - among them France’s EDF and Areva, and Germany’s E.ON and RWE Npower - in collaboration with their political sympathisers / cronies in Westminster, are seeking to capitalise on increasing public concern over climate change with attempts to rebrand nuclear power as a “green” source of electricity. They know that the general public will not accept new nuclear reactors if they learn the truth about this secretive and dirty industry. 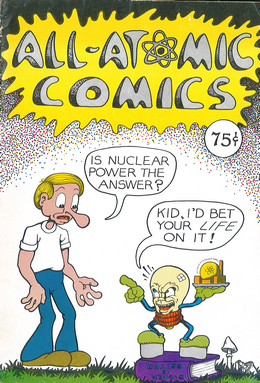 The long history of cover-ups, deceit and shoddy and dangerous practices stretches back over fifty years, when nuclear power was first developed as a means of producing plutonium for the atomic bomb. The industry wants us to believe that a leopard can change its spots, but the only thing that really seems to change is the PR tactics. 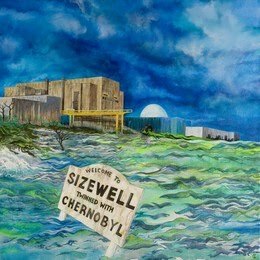 Nuclear expansion would lead to a greater risk of global nuclear weapons proliferation, more and deadlier radioactive emissions, a legacy of even more nuclear waste being dumped indefinitely on local communities with no permanent solution in sight, and the ever-present risk of a Chernobyl-style nuclear catastrophe or terrorist attack. Nuclear power is a dirty, dangerous and expensive distraction from the wholesale changes needed to bring about a safe and sustainable low-carbon future and green industry, based on more modest consumption, energy efficiency and conservation, and renewable and decentralised energy; a future in which we no longer have to rely on non-renewable and unsustainable uranium, plutonium and fossil fuels. 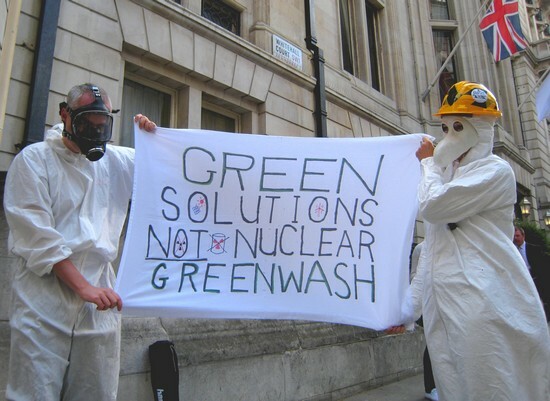 Join us as we demonstrate outside the Nuclear Industry Forum in central London to send a clear message to the industry and the Government that we don’t buy the greenwash and we reject false solutions like nuclear power. 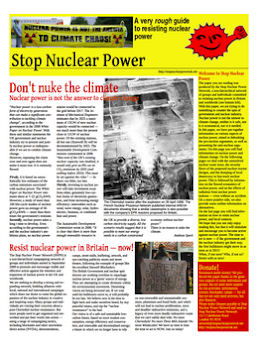 Organised by Stop Nuclear Power London & SE, part of the Stop Nuclear Power Network - fighting for a nuclear-free, sustainable energy future for the UK and the world.